Did you strike a pose in a stunning Vlisco outfit during Christmas? or are you going to make heads turn on New Year's Eve? 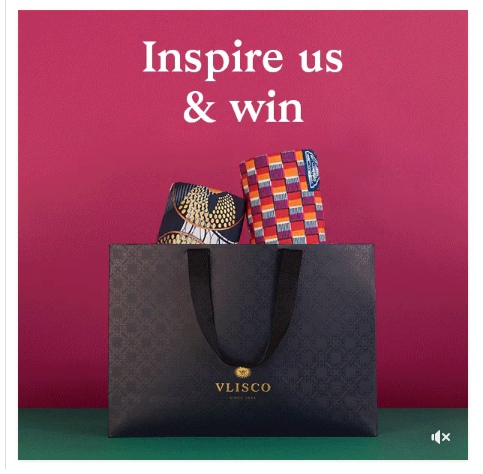 Share your Vlisco outfit on Instagram with Hashtag #celebratewithvlisco, and perhaps you'll be one of the three lucky winners to win a Vlisco Surprise Package! *Amongst all entries, 3 surprise packages will be raffled. Each package includes a 6-yard WaxWax and 6-yard Wax Hollandais fabric. Entries must be made between 20 December 2017 and 02 January 2018 by publishing your photo on a public Instagram profile with #celebratewithvlisco in the caption. By participating in our 'Celebrate with style promotion' you agree to the following Terms & Conditions >> vlis.co/celebratewithstyle <<. Entries must be made between 20 December 2017 and 02 January 2018.